Problem Solved provides the features to sell offspring high. Killer look combined with adequate power in a free moving package. Freaky necked and hairy to boot! 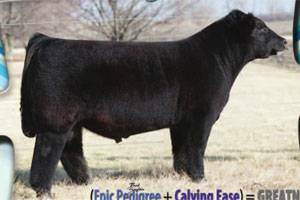 Calving ease genetics supreme here!